crafty goodies: Quick Quotes~ New release! 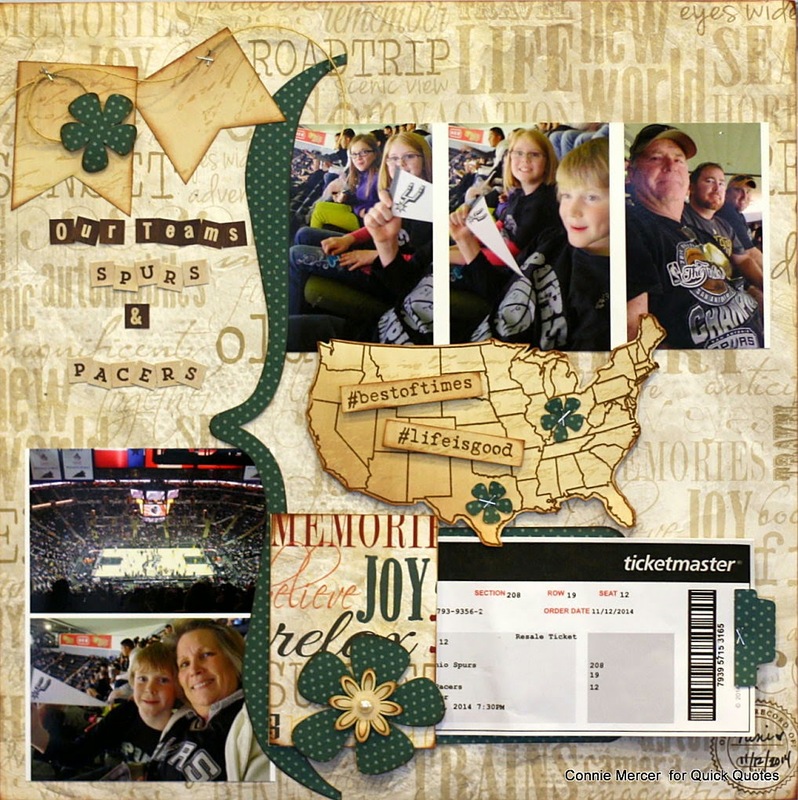 Hi Connie here with a scrapbook page created with the new papers by Quick Quotes! 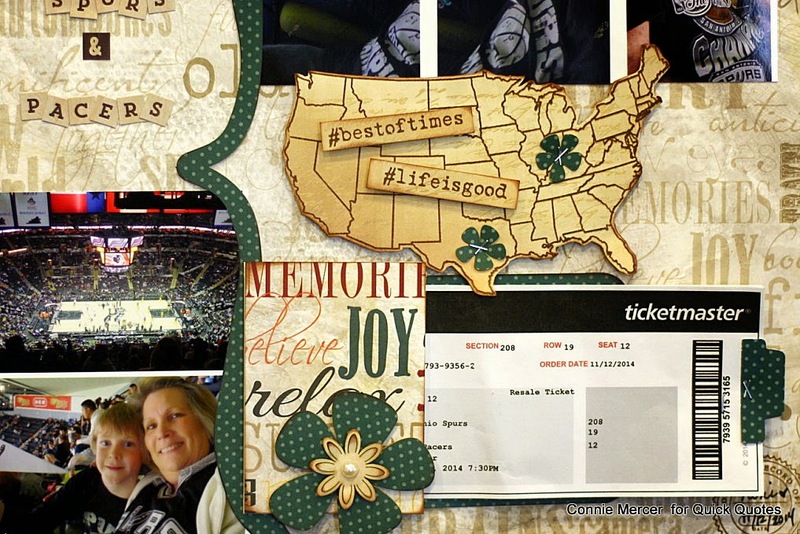 I decided to scrapbook our photo's from a recent Spur's game. Nine of us went~all on one row! Pretty cool! I love those papers and what a perfect page. And those shamrocks. Yum! Ohhhhhhhhhh this is gorgeous! LOVE LOVE LOVE the colors and the USA map!!!!!!! what an awesome layout.. love how you added the US.. I love all the embellishments and the selfie with you!